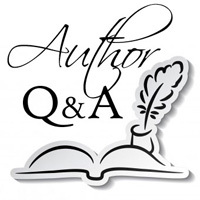 We are delighted to welcome author Georges Ugeux to Omnimystery News today. Georges introduces financial fraud investigator Victoria Leung in The Flying Dragon (Archway Publishing; November 2015 hardcover, trade paperback and ebook formats) and we recently had the chance to spend some time with him talking about the book. Omnimystery News: The Flying Dragon is your first novel and also the first in a series. Why did you elect to go with a series over a stand-alone? And how do you see your recurring character developing over the course of a series? Georges Ugeux: Agatha Christie's Hercule Poirot or Conan Doyle' Sherlock Holmes inspired me. An interesting observation is that those protagonists do not age. I may actually have Victoria age in accordance with the book publication dates, but I am still undecided. OMN: Why did you choose a woman over a man to be your series lead? GU: I thought it was unfair that throughout the history of mystery novels, it was primarily men, (except for Miss Marple) gaining reputations as brilliant detectives. Furthermore, I have noticed over many years, that women are often more intuitive and effective in deciphering enigmas. Finally, it was a pleasure creating a new relationship with a woman I really enjoyed. Victoria and I get along very well. OMN: Tell us something about The Flying Dragon that isn't mentioned in the publisher's synopsis. GU: Never would Victoria Leung have thought that this crime would lead to the ramifications of the financial scandals of Mainland China, particularly those surrounding the Chongqing municipality. Her sharp eye exposed the existence of fraud, the construction of phantom accounts and a cover-up by a number of interested parties. Although she was no stranger to the dark side of the financial world, the danger Victoria faced was certainly more than she expected. GU: As a career financier heavily involved in Asia, much of the book's content comes directly from my own experiences, especially when it comes to trading rooms and finance. In terms of the protagonist and Chinese women, I used a blend of several role-models to create Victoria Leung. It was a pure joy! GU: I absolutely am familiar with the places where actions happen. The locations are totally real, but I made sure to check about the exact topography of Hong Kong. A close friend (based in Hong Kong) corrected my mistakes and helped to make the settings perfectly recognizable by locals and visitors alike. I intend to have Victoria travel to different places in the world that I know well. OMN: What are some of your outside interests? And have any of these found their way into your book? GU: I love music and sing regularly with a classical chorus in New York City. Music stimulates, inspires and soothes me. In fact, my chief of staff is a future prima donna and an opera singer. It is a world that travels best — there are no language barriers. This is why my book began with Victoria attending a piano concert by Yuja Wang. OMN: Complete this sentence for us: "I am a thriller writer and thus I am also …". GU: … fascinated by people, psychologies, characters and mischief. It requires passion and persistence since people aren't often transparent. I also always love to see women win when being bullied by men! GU: I'm publishing another non-fiction book this year on central banking. After that is done, I will send Victoria Leung to London for the next investigation! Georges Ugeux is a global financier by trade and at heart. He is the former head of the international group at the New York Stock Exchange and the founder of Galileo Global Advisors. He is a frequent blogger for The Huffington Post and Le Monde in Paris, and he teaches financial regulation courses at Columbia Law School. For more information about the author, please visit his website at GeorgesUgeux.com and his author page on Goodreads, or find him on Facebook and Twitter. No one can resist Victoria Leung. She's beautiful, brilliant, and fearless. Since leaving the fraud department of the Hong Kong Police, she has enjoyed her new status as senior detective at Pegasus, an international security firm based in London. She climbed the ladder by taking down Sun Hung Kai Properties' Kwok Brothers, a real estate empire, and earned the nickname "The Flying Dragon" in the process. On an otherwise typical morning, Victoria receives a panicked message from her close friend Diana Yu asking for help: Diana's ex-lover, Henry Chang, is in grave danger. Bertrand Wilmington, head of the derivative trading desk of a global bank, has fallen from a window of the twenty-second floor trading room, and Henry Chang is somehow involved. Perhaps with Victoria's help they can clear his name and reveal the secret behind Wilmington's death. While Hong Kong and Mainland authorities attempt to crack the case with little success, Victoria puts her experience as a banking auditor to use. Her expertise is critical in discovering key clues, and she won't back down until she gets answers. As she searches for the truth, The Flying Dragon quickly becomes enmeshed in a web of arrogance, power, money and sexuality. Will she expose the corruption and bring down a financial giant?